Sonos also plays nice with the Pandora Premium on-demand service. If you use both Pandora and Sonos, there's a pretty useful update coming your way today. 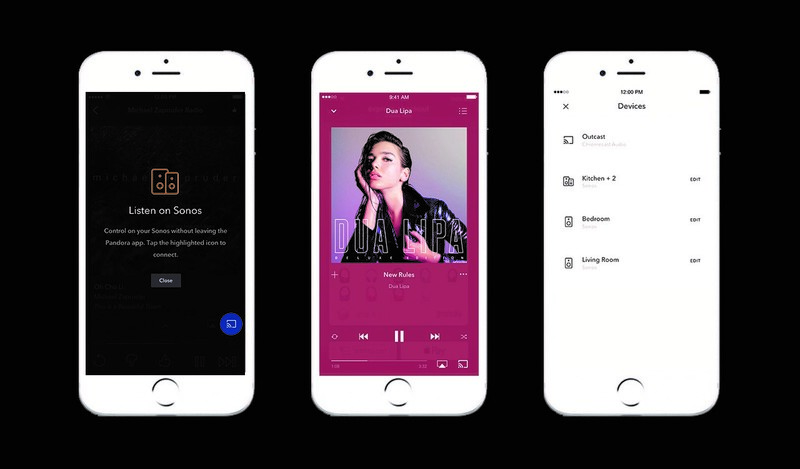 Pandora's apps for iOS and Android now let users directly control music streaming to your Sonos speakers. The Sonos controller app is still required to set up Pandora, but once that's done, users can select songs, playlists and stations directly through the Pandora app to play on their speakers. Additionally, Sonos now works with Pandora Premium, the company's on-demand music service. Previously, Sonos only worked with the traditional radio-style stations that Pandora creates based on songs, artists or genres, but Premium subscribers can now send any music they want from Pandora's catalog to their speakers. It's a pretty notable addition that rounds out the Pandora experience -- as a Sonos owner, using Pandora Premium has been a non-starter until now. And being able to control music directly through the app makes for a much-improved experience as well. Just like using Spotify Connect with Sonos, you can group and un-group speakers, move music to different speakers around the house and adjust volume right in the Pandora app. This all follows the recently-added support for Pandora stations on the Alexa-powered Sonos One speaker. Unfortunately, you can still only use your voice to start stations -- Pandora Premium users can't just pick anything from their libraries and ask Alexa to play it just yet. Anyone who uses Pandora will be able to use the app to control their Sonos speakers, regardless of whether they pay for one of Pandora's two subscription options or use the free, ad-supported station service. And with the addition of Pandora Premium support, Sonos users will be able to access their full Pandora libraries through the Sonos controller app, as well. These updates are going live in the Google Play Store and App Store today — if it's not on your phone yet, it should be soon.